Smart women who take the pill or any hormonal contraception want to be able to weigh the risks and benefits-so they can decide what is best for them. The second thing a woman should know is how it will affect her health. We all know that all medications will have unwanted side effects and impact our health. Women should know the effects which are serious and even life-threatening as well as more minor effects that may make the Pill “worth the risk.” There are multiple major effects that cause the pill to be potentially lethal. The risk of pulmonary embolism decreased with decreasing doses of estrogen in the Pill. The Ortho-Evra patch used for contraception causes clots higher than the rates with the Pill as the patch causes 60% higher estrogen levels than in the Pill users. In 2007, the UN’s International Agency on Research of Cancer (IARC) reported in their Monograph 91 that estrogen-progestin combination drugs (the Pill) were a group 1 carcinogen for breast, cervical and liver cancers. (12) Although the risk of uterine and ovarian cancers were lower on the pill, there is 4 times more breast cancer in women than uterine and ovarian cancers combined. The minor side effects listed below and which are experienced by women on oral contraceptives are the most common. They are not life threatening as are the major side effects, but may impact your sense of well-being. There are many ways a woman can control her fertility without interfering with her delicately balanced endocrine system and which have less impact on her health. A woman’s menstrual cycle is regulated by the brain’s pituitary gland and hypothalamus. Their hormones secreted in the brain act upon the ovaries in a delicately controlled monthly cycle. Hormonal contraception interferes with this delicate balance that is achieved only when a woman is in good health. According to the CDC, 88% of US women between 15 and 45 years old, or 61 million women, have used hormonal contraception. (15) When confronted with statistical risks, many women may believe that with low risks, “it won’t happen to me.” Even though the risk of serious side effects is low, when they are taken by millions of women, it results in tens of thousands of women whose health has suffered a major medical event damaging their health. This is reflected in the noticeable increase in very young women with breast cancer. For example, over the last 30 years there has been a 400% increase in non-invasive breast cancers in women under 50. Major side effects may be life threatening or fatal. Safer options are available. A woman’s fertility may last over 40 years during which time she is exposed to major and minor medical risks of hormonal contraception. As a woman is only fertile about 100 hours a month, or about 4 days, daily exposure to synthetic unnatural hormones may be seen as unnecessary and excessive. Is it ever worth taking a Group 1 carcinogen to control fertility? Millions of women will get pregnant each year despite properly taking their hormonal contraception. you can make an informed choice. ​(1) Effectiveness of family planning methods adapted from World Health Organization (WHO) Department of Reproductive Health and Research, Johns Hopkins Bloomberg School of Public Health/Center for Communication Programs (CCP). Knowledge for health project. Family planning: a global handbook for providers (2011 update). Baltimore, MD; Geneva, Switzerland: CCP and WHO; 2011; and Trussell J. Contraceptive failure in the United States. Contraception 2011;83:397–404. (4) Hellwig, K, et al. Hormonal contraceptives and multiple sclerosis susceptibility (S34.003). Neurology April 8, 2014;82 no.10 S34.003. Abstract can be found at: http://www.neurology.org/content/82/10_Supplement/S34.003. (5) Tanis BC, et al. Oral contraceptives and the risk of myocardial infarction. NEJM 2001;345:1787-93. (6) Gillum, LA. Ischemic stroke risk with oral contraceptives. JAMA July 5, 2000;284:72-78. (7) van Hylckama Vlieg A, et al. Venous thrombotic risk of oral contraceptives, effects of oestrogen dose and progestogen type: results of the MEGA case-control study. BMJ 2009;339 doi:10.136/bmj.b2921. (8) Lindegaard O, et al. Risk of venous thromboembolism from use of oral contraceptives containing different progestogens and oestrogens. Danish cohort study 2001-9. BMJ2011;343:d6423. (9) Wang CC, et al. Risk of HIV infection in oral contraceptive pill users: a meta-analysis. JAIDS 1999;May 1 21(1):51-58. (10) Franceschi S, et al. Genital warts and cervical neoplasia: an epidemiological study. Br J Cancer 1983;48:621-28. (11) Kahlenborn C, et al. Oral contraceptive use as a risk factor for premenopausal breast cancer: A meta-analysis. 2006 Mayo Clinic Proc 2006;81(10):1290-1302. (13) Dolle J, et al. 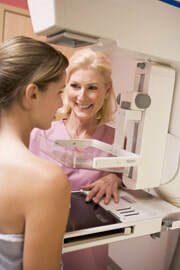 Risk factors for triple negative breast cancer in women under the age of 45. Cancer Epidemiol Biomarkers Prev 2009;18(4):1157-65. (14) Moreno V, et al. Effect of oral contraceptives on risk of cervical cancer in women with HPV infection. The IARC multicentric case control study. Lancet 2002;Mar 30;359(9312):1085-92. (15) Daniels, K, et al. Contraceptive methods women have ever used: Unites States 1982-2010. US Dept of Health & Human Services, Centers for Disease Control & Prevention, National Health Statistics Reports. No. 62, Feb 14, 2013. (16) Ovulation method of natural family planning. Available at: www.familyplanning.net. (17) Dr. Zhang DW et al. The effectiveness of the ovulation method used by 688 couples in Shanghai. Reproduction and Contraception. June 1993;13,(3):194-200.